I didn’t know who Harvey Weinstein was till I read the The New Yorker exposé on him. For those of you who live under the same rock as I do, he’s an Oscar-winning producer and the co-founder of Miramax. I read each and every victim’s story and felt disgusted to the core, but somehow I felt as if I had read these stories before, only this time the victims were different. The only common factor was a lecherous and sleazy man, making unwanted sexual overtures. It is our silence that perpetuates these monsters to continuously attack women, because they know our silence is their aide and accomplice. Due to the prevalent system of structural sexism in every part of the world, men with power tend to get away with most offences because, well, they’re powerful. For them, it is just one simple nod of the head that decides our fate. There is a massive imbalance on the gender scale, which unfortunately tips in favour of men. In the Weinstein case, for women such as Gwyneth Paltrow, Cara Delevingne, Kate Beckinsale, Angelina Jolie, Heather Graham and Ashley Judd, speaking up wasn’t an option, only silence was. This is what structural sexism looks like, where power lies in the hands of a top-notch male executive and where his word is the final say. Speaking against him is speaking against a system, which eventually destroys the individual fighting against it, not the individual who is behaving inappropriately. For a powerful and sleazy man, his rationale behind his action is ‘I know I can do this and get away it, so I will’. And this was why Weinstein managed to get away with his repulsive behaviour all this while. Up until Ronan Farrow, the man behind The New Yorker story, decided to go ahead and show the world Weinstein’s true colours. This revolting issue is not just Hollywood or Bollywood-centric; rather it seeps into our daily lives in the form of overt sexism and harassment as well. I’ve felt extremely uncomfortable at one of my previous jobs. On numerous occasions, a senior male colleague, who happened to be married, would make it a point to comment on my clothes and how well they suited me. At first, I treated it as a one-off compliment. But once they became regular, I started feeling extremely uneasy, more than the first encounter, which was evident through my facial expressions. This is where men should get the cue about how their comments are not required and should rightfully back off. This is where the line should be drawn. It’s really not that difficult, men just need to stop being sleazy just because they can be. Regrettably, this is not where it ended. My blatant discomfort wasn’t enough to throw my colleague off. During a brainstorming meeting, he began telling me about his former girlfriends, how he was generally friendlier with females and how I could turn to him if I ever had any issues. In my head, I was thinking ‘wow, this is inappropriate’, but outwardly, I was smiling and nodding because I didn’t know how to respond. A couple of my female friends have had similar incidents. A male colleague told my friend that it was great to have her around because they needed some “eye candy” in the office. The same friend had her male boss tell her that she socialises too much with male colleagues and not female colleagues. And mind you, this took place in a well reputed corporate company. Another female friend told me how her boss used to focus more on how she looked rather than what she had to say or what input she had on a project. This is where I would like to reiterate how damaging our silence during such instances can be. We’re either told to remain silent, leave our job or ignore the matter altogether, which is if we do manage to speak up at all. Be it the Human Resources (HR) department, our parents, our partners, whoever it may be, most of the time the existing culture tells us to brush such matters under the carpet. It’s not that we want to remain silent because we secretly enjoy the attention of our male colleagues. It’s because we’ve internalised it, because apparently it is the ‘right’ thing to do and because we’ve been observing the way the system functions. But silence and looking the other way is never the answer; it only adds more fuel to the fire. We need to educate our men, be it our fathers, husbands, brothers or sons. It is everyone’s duty to instil the ability to respect women, to empathise with them and to treat them as equal individuals rather than objectifying them. Moreover, we need to create the culture of speaking out and building a safe space for our women where they feel secure and comfortable enough to talk about any unfortunate incident they have been through. This is important because if and when a woman is sexually harassed, her first reaction won’t be fear and silence, it will be speaking up. A healthy and constructive forum needs to be established from primary socialisation levels, up until secondary socialisation levels, and need to be reinforced through every institution up until our 20s. The culture of repression and silencing grave issues needs to be nipped at the bud. 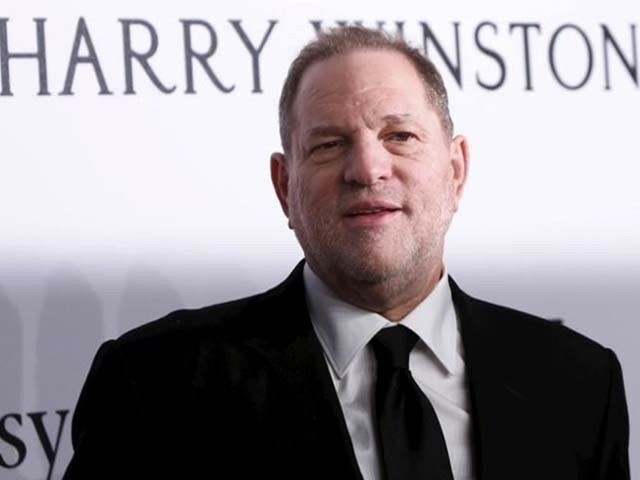 Currently, there may be a million more men such as Weinstein, but unfortunately, we don’t know about them, and we never may because we are made to choose silence over action. Mr Mashaal is concerned about sexual predator’s ……… It’s worth mentioning that Mr. Weinstein belongs to world of glamour. It’s stupidity to expect that influential men / women will not take advantage of their prestige/authority. World of Glamour is full of it and will remain full of it, most of these famous celebrities career begin with offering their glamour to famous personalities. Welcome to Hollywood, the greatest city of sin on earth in a country whose Presidnt is now being sued for similar acts. Let us admit that this is still a mans world, women must sruggle against people like the author to restore their dignity despite denials. sexism is institutionalised in various facets of life in the world.